Before I move on to the review of the mighty Big Pilot 5002, I would like to give a little info about the history. As watch enthusiasts, I might say that we all have a sweet spot for aviation and military heritage beside the horological value. Just like the desk top divers, most of us live with that passion without being a member of armed forces or air force. There are several stunning and classic military watches; Breitling Navitimer, Rolex MilSub and Panerai Luminor Marina however, the most of the credit goes to German B-Uhren design. Referring to the ( not so exact records ), the very first aviation instrument watch came out through a co-operational work between Lt. 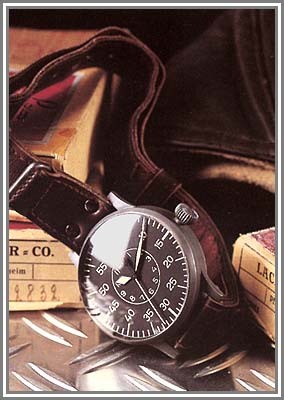 Commander Weems and Longines. The watch was 48mm and had a center seconds dial. 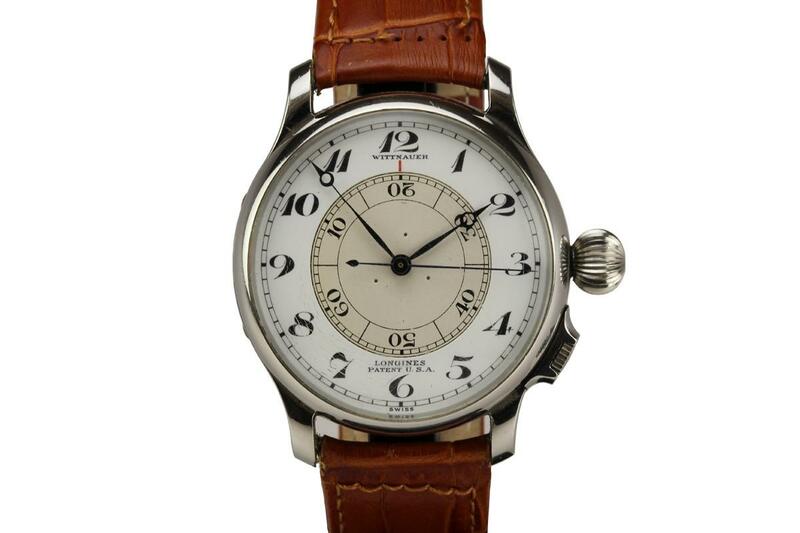 I think it will be safe to say the B-Uhren has born in 1929 by Longines. 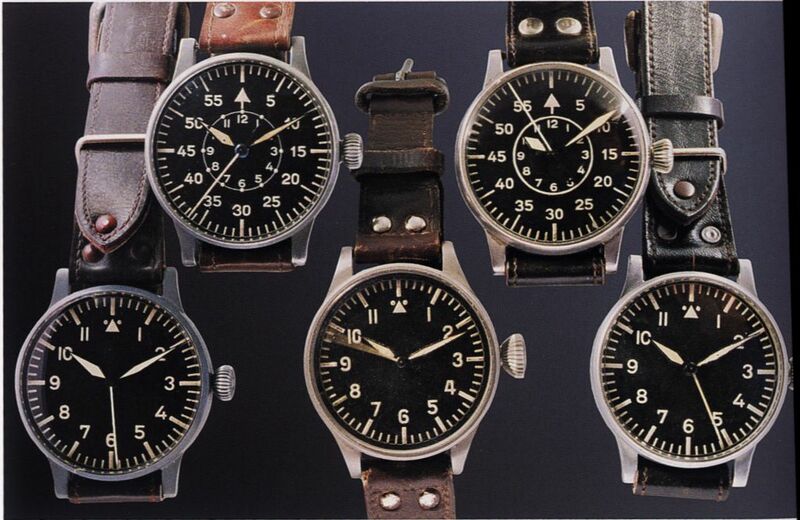 Being one of the strongest air forces during WWII, the most important instruments for The German Luftwaffe were precise watches. 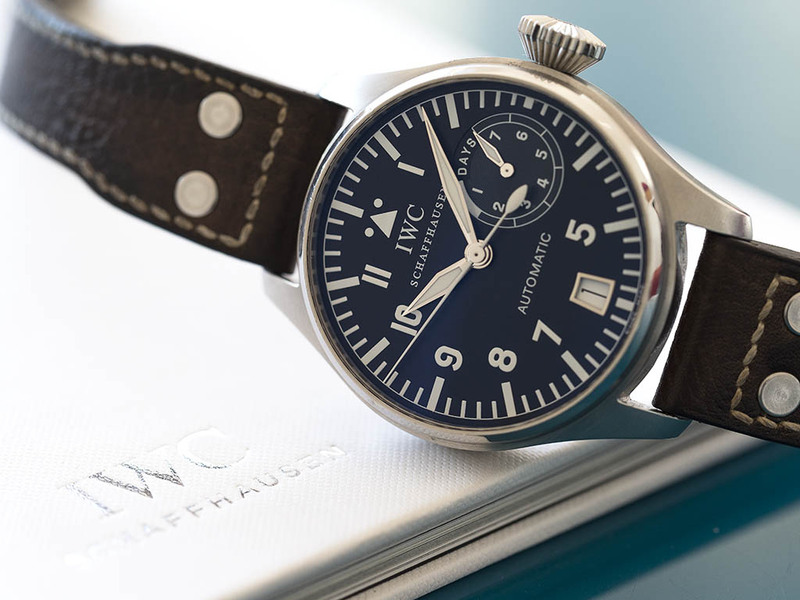 A.Lange & Söhne has been contracted to supply however, the production capacity of the company was way below the German Air force's requirements, therefore four other brands were contracted as well; International Watch Company, Laco, Stowa and Wempe. 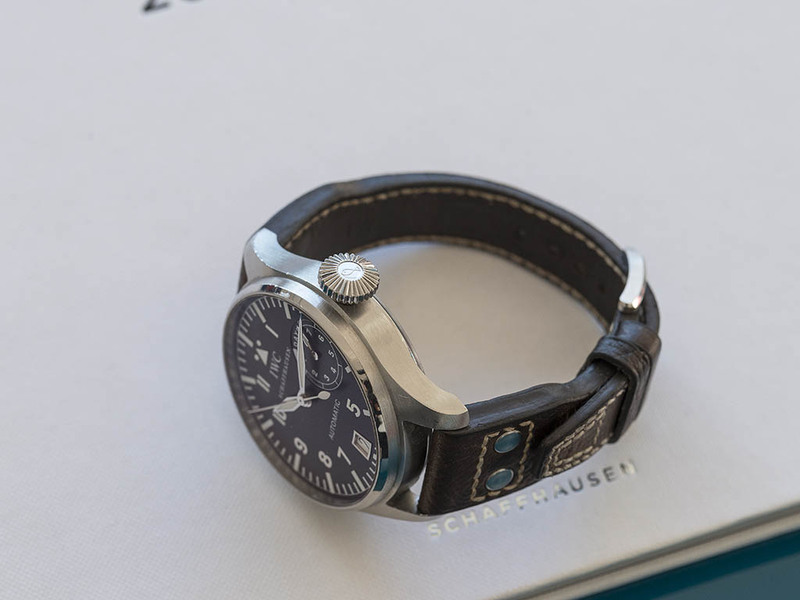 Those aviation watches were called “Beobachtungs-uhr” which literally translates “ observation watch “ and the iconic name the “ B- Uhren “, has been born. 1- 55mm case diameter in order to increase visibility under though weather conditions and pilot's goggles. 2- Arabic numerals which had a better relation with scientific and professional matters. 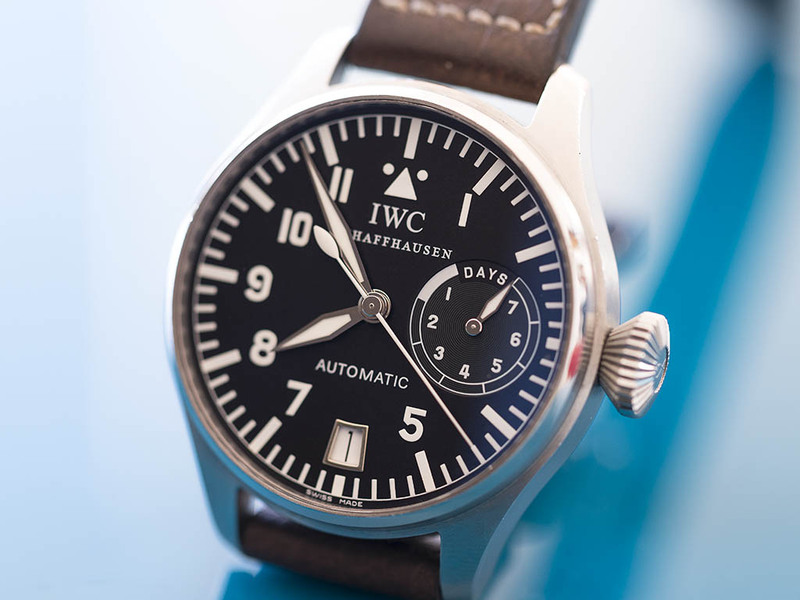 3- Center located second hand which was more useful than any other design as the pilots would periodically re-adjust the timing on their watches referring to the minute beeps on their radios. Accuracy and precision were fundamental as slight differences in time could end up with fatal miscalculation in flight calculations. 4- Large “onion” crown which provided excellent grip under though weather with thick gloves. 5- Anti Magnetic case to ensure watch read the accurate time even it has been exposed to a magnetic field which was not a rare situation at all during flights. 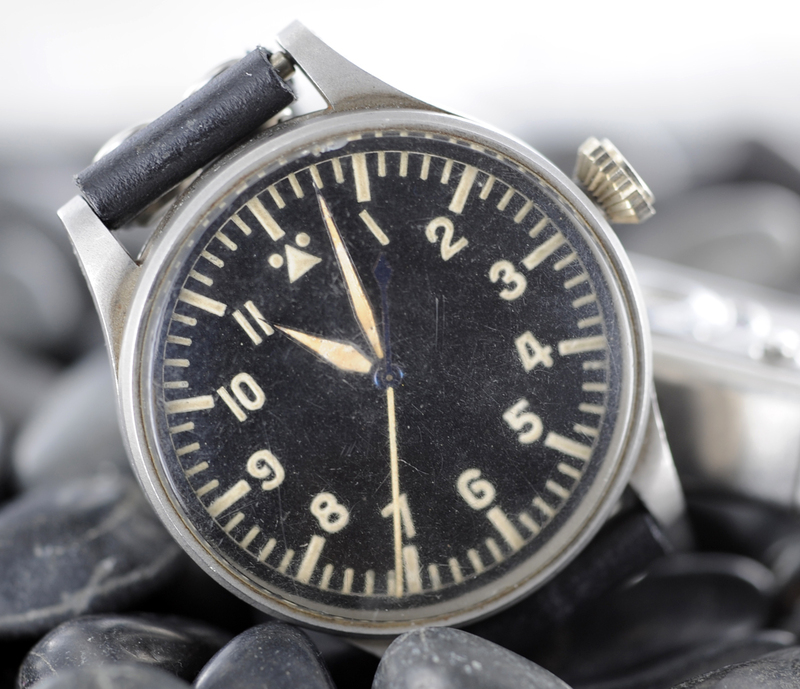 6- Hack capable movement for precise reading and resetting of time. 7- The triangle for using the watch as a solar compass to find the earth’s true north in conjunction with other devices like a sextant or a compass. 8- Very long Buffalo leather strap for wearing over thick flight jackets. To this day no single company can claim sole ownership of the design, as it was the result of a medley of circumstances and requirements and produced by several firms. 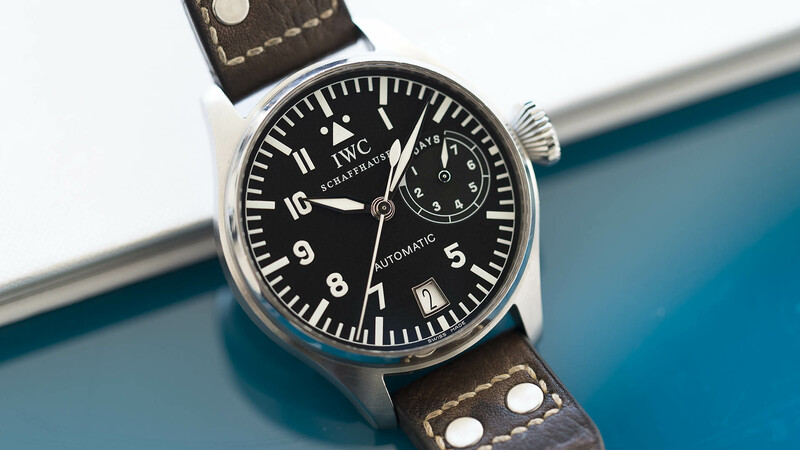 In 2002, IWC launched arguably the most identically built, beautifully crafted and cleverly civilized ( thanks to the 46mm diameter ) watch among the long list of B-Uhren inspired models; IWC Big Pilot 5002. 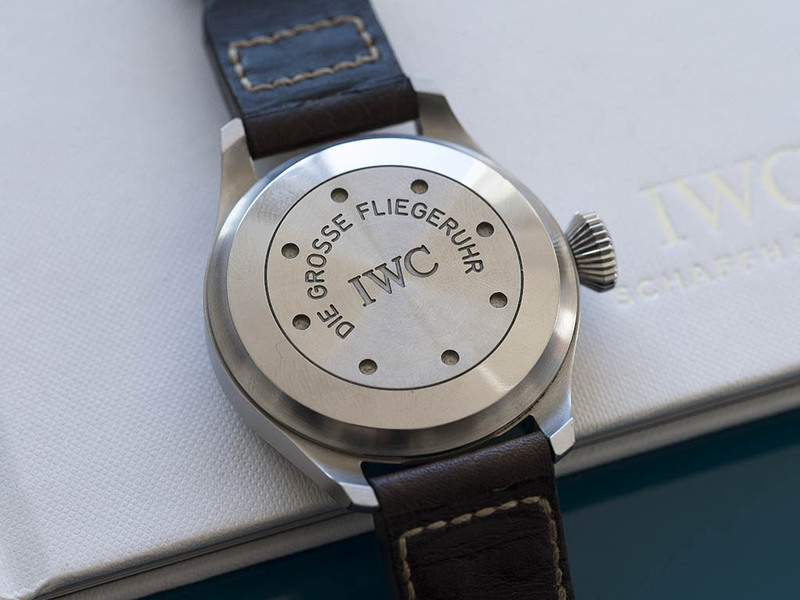 The case is designed in classical B-Uhr form with a perfect finishing as is to be expected from IWC. It's 46mm diameter is more than enough for the ultimate wrist presence while making the watch quite wearable. 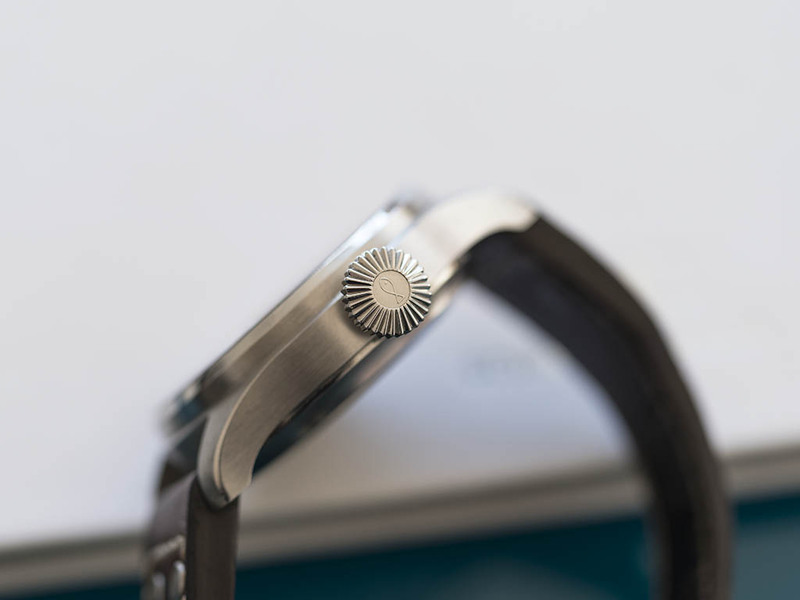 The case is a bit on the thicker side with 15mm height due to the anti magnetic shielding under the solid case back but that does not hurt the balance of the watch at all. It also avoids the classic and large onion shaped crown from digging in to your hand when bent backwards. The satin brush finish still looks flawless though our Big Pilot was obviously not a safe queen for the past decade or so. The solid case back looks quite neat and military. The large dial's lay out resembles strongly with the classic B-Uhren design. Large and white colored Arabic numerals over black surface offers maximum readability almost in every situation thanks to it's luminous fillings on the numerals and hand set. I would like the date wheel color combo in white over black for better blending with the dial but it's just my personal preference, never a flaw. 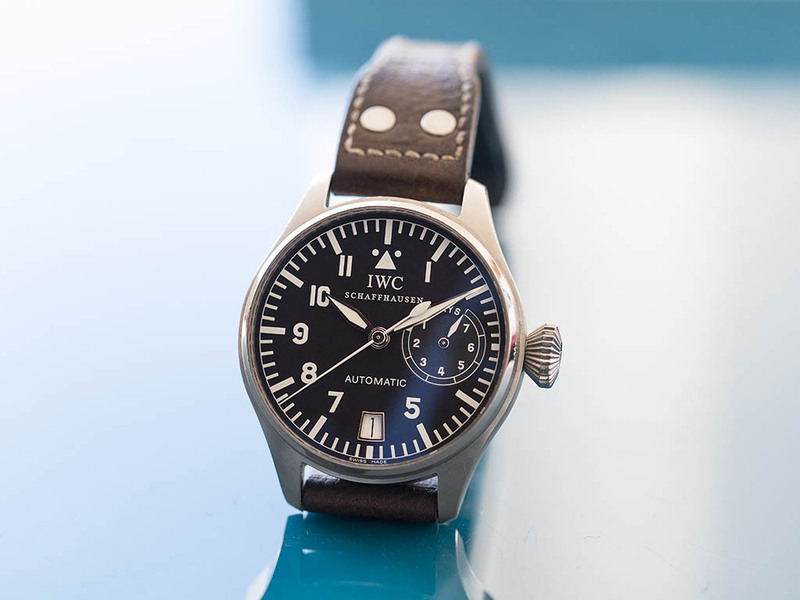 The IWC Big pilot has been powered with IWC's in-house caliber 5011. This 7 day power reserve beats at 2.5Hz making the second hand's tick quite visible. The Caliber 5011 also features the highly praised Pellaton Winding System, originally designed by the IWC Technical Director, Albert Pellaton in the 1940's. Unlike the standard caliber design, the movement of the rotor is not transmitted to a wheel train via a gear system but, through a cam which increases the durability of the rotor wheel. The Big Pilot comes on a beautiful Buffalo leather strap which looks pretty classic and feels extremely comfortable on the wrist. 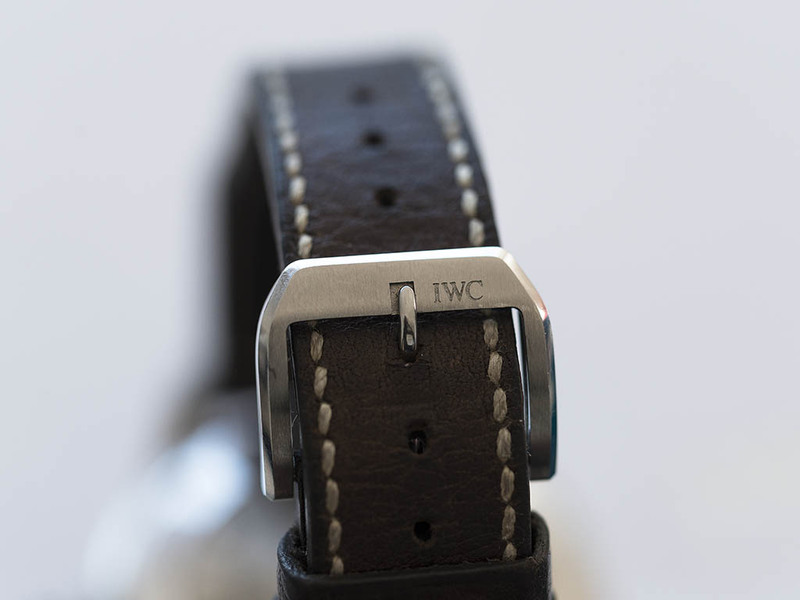 The classic thumbnail type buckle fits the strap and the entire character of the watch perfectly. 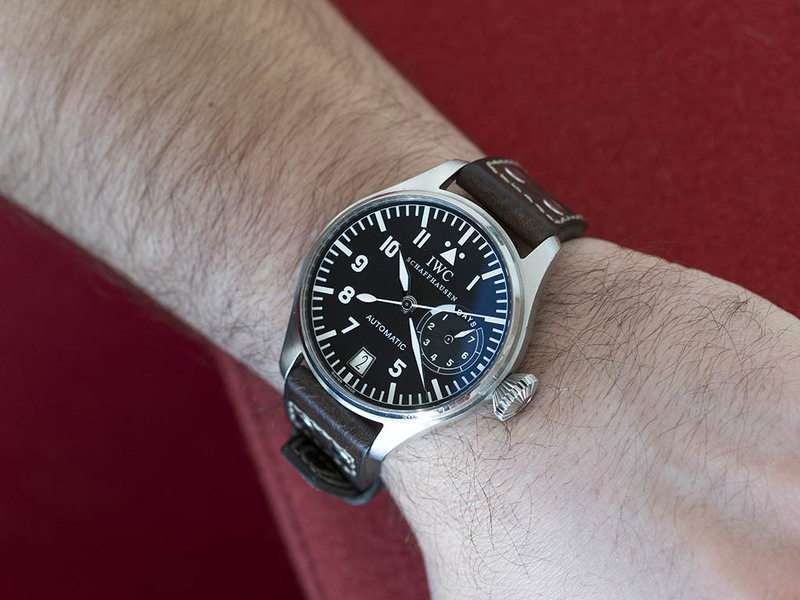 To me, IWC Big Pilot is one of the best samples regarding the classic B-Uhren design pilot watches. If you are willing to get one I would strongly recommend as it offers an iconic design with an absolutely wearable shape however, there are several versions for Big Pilot and the watch I have here is the very first version with the slow beat caliber and fish logo engraving on the winding crown. The financial and horological values vary depending on the version therefore if you are a second hand compatible watch aficionado and want the “ ground zero “ model of the Big Pilot concept, than will be perfect with a fine sample of a 1st Gen 5002. If not, I would strongly recommend the latest version with a higher vph rate and a folding clasp.